"Hey, are you busy?" We all know that when someone asks this question at work, there's only one possible answer. But maybe, just maybe, we're not actually that busy. 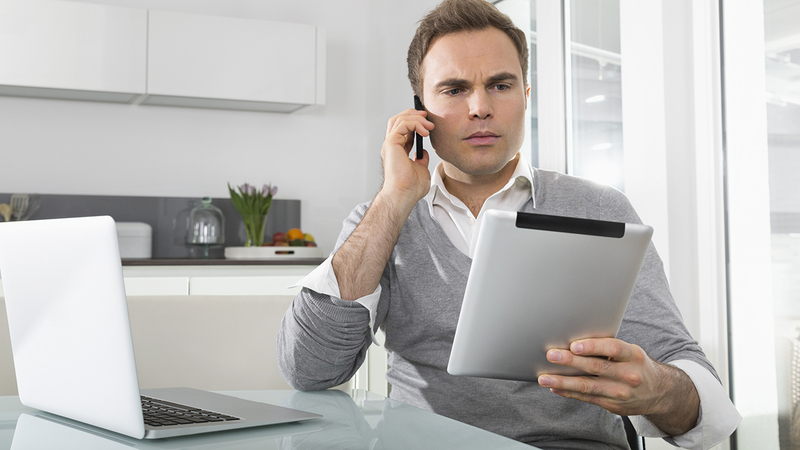 A new study from Havas Worldwide surveyed 10,000 adults worldwide and found that 42 percent admitted to overstating their obligations, while around 60 percent believe that other people are pretending to be busier than they really are. 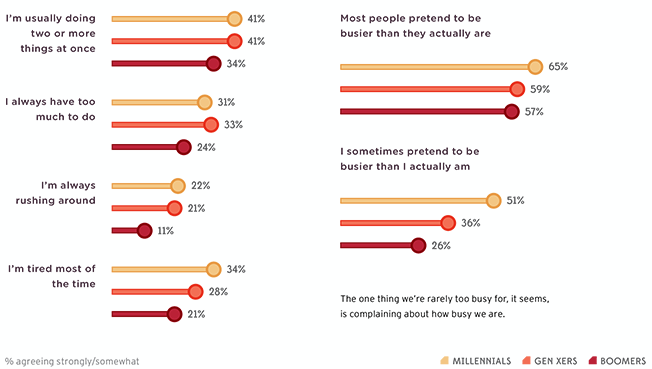 Millennials were most likely to exaggerate their workload (51 percent) and to accuse their peers of doing the same (65 percent), while only 26 percent of Boomers said they pretend to be busier than they are. But the researchers behind the study say it's not a sign that modern employees are lazy and deceptive. Instead, it shows that a worker's value is often determined by how busy they appear to be. "I think right now the social currency of our time is that to be busy is to be relevant," said Tim Maleeny, chief strategy officer for Havas Worldwide. "It's arguable or debatable whether or not that's healthy or sustainable as a lifestyle, but it's the social currency of the day." The Havas study says pretending to be busy has become a vital workplace survival skill thanks to our modern society's tacit celebration of being overloaded. "Our issue with time seems to be not so much that we have too little of it, but that we now equate being busy with leading a life of significance," the report notes. "And we don't want to be relegated to the sidelines. In an essay in The New York Times, writer Tim Kreider observed, 'Busyness serves as a kind of existential reassurance, a hedge against emptiness; obviously your life cannot possibly be silly or trivial or meaningless if you are so busy, completely booked, in demand every hour of the day.'" According to Havas, some countries are more prone to being fake busy. The report breaks down global sentiment into three typologies. The majority of markets fall under the label of "the conflicted," which includes newer economic powerhouses such as Brazil, China and India. Conflicted respondents pretend to be busy even though they'd rather relax, possibly because they haven't "quite come to grips" with the demands of an ever-connected life. "It's a reflection," Maleeny said. "There's been a lot of talk of the hyper-connected world, and that's only going to get more connected as our cars get smarter, as we enter the world of flying cars and talking toasters, and I think that as that emerges, it's going to be harder to disconnect." Other parts of the world—North American countries like the U.S. and Canada, and European countries like France, Germany and the Netherlands—are "entrenched," choosing not to view the new pace of life as a threat, but instead as a "new reality to work around." Finally there are "the fatigued"—Australia, Belgium and Italy—who are doubtful about the perks of a faster society. How everyone will come to grips with the realities of living with more strings (or WiFi signals) attached is still forming. Maleeny said millennials at the "crest of the wave" of connectivity have brought along older generations. However, Maleeny added, unplugged holidays and daily meditation time through yoga could become more common. "You're starting to see some pushback," he said. "The joy of missing out, or JOMO, if you like. But the social currency [of busyness] is still around."